1) VBS Canvassing tonight at 7pm! Hope you can make it! 2) LAST CALL for SkyZone! Our SkyZone activity is this Friday night! If you're planning to come and haven't told me, please get your waiver signed and let me know ASAP. I will send an email later this week to those who are going with all the details. 3) Our week at the Wilds is fast approaching! The final payment is due July 1. If you're still on the fence about going, please let me know if you have any questions. We will want to get any last-minute registrations in very soon as space will be limited. I've attached the registration form. I've also included the verses for JBC/Teen camp. I'm very excited for the great group we have going already! 4) This coming Sunday (6/10), we have VBS setup in the afternoon and a mission trip meeting for parents and teens following the evening service. 1) Our Summer Youth Group starts tonight at 7! 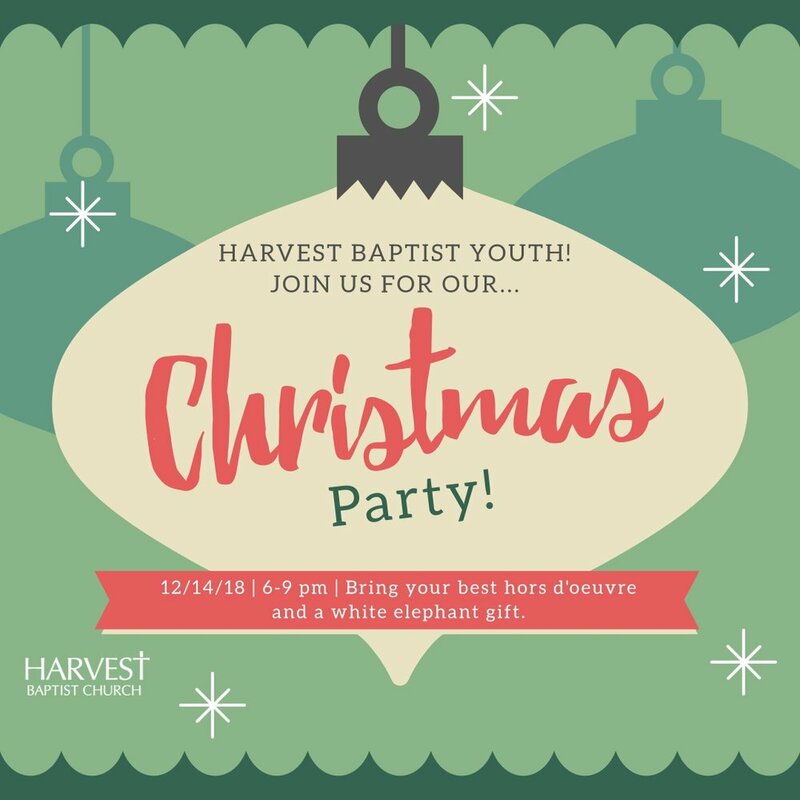 Come out and bring a friend! 2) VBS Canvassing is next Wednesday (6/6) and VBS decorating is next Sunday afternoon (6/10). We need all hands on deck for both events to make VBS 2018 a success! 3) NEXT WEEK! SkyZone Activity: we have scheduled a youth activity at SkyZone South Charlotte next Friday, June 8. We have a court reserved for our group from 7-8:30. The cost of the activity is $20/teen. We will meet at the church at 5:15p and head to SkyZone. At 8:30 when we're done jumping, we'll go across the street to Cici's for dinner (bring about $8). We should be back to the church around 10p. A parent/guardian must fill out the waiver prior to arrival. You can do that here: Sign Waiver. VERY IMPORTANT: Please let me know as soon as you have signed the waiver so we can arrange transportation. 1) YES Groups tonight at 7pm! This is our final week of YES groups for the year! We will begin our summer program next Wednesday night! 2) SkyZone Activity: we have scheduled a youth activity at SkyZone South Charlotte on Friday, June 8. We have a court reserved for our group from 7-8:30. The cost of the activity is $20/teen. We will meet at the church at 5:15p and head to SkyZone. At 8:30 when we're done jumping, we'll go across the street to Cici's for dinner (bring about $8). We should be back to the church around 10p. A parent/guardian must fill out the waiver prior to arrival. You can do that here: Sign Waiver. Please let me know as soon as you have signed so we can arrange transportation. 3) Friday Night Game Night is this Friday night at the Kniffin's home! Please bring a snack/dessert/drink to share! 1) YES Groups tonight at 7! 2) SkyZone Activity: As I mentioned last week, we have scheduled a youth activity at SkyZone South Charlotte on Friday, June 8. We have a court reserved for our group from 7-8:30. The cost of the activity is $20/teen. We will meet at the church at 5:15p and head to SkyZone. At 8:30 when we're done jumping, we'll go across the street to Cici's for dinner (bring about $8). We should be back to the church around 10p. A parent/guardian must fill out the waiver prior to arrival. You can do that here: Sign Waiver. Please let me know as soon as you have signed so we can arrange transportation. 3) VBS Training day is THIS SATURDAY from 8:45-11am. Please plan to attend if you're helping with VBS this year. 4) Our last Friday Night Game Night of the school year will be next Friday (5/25) from 7-9pm at the Kniffin's home. 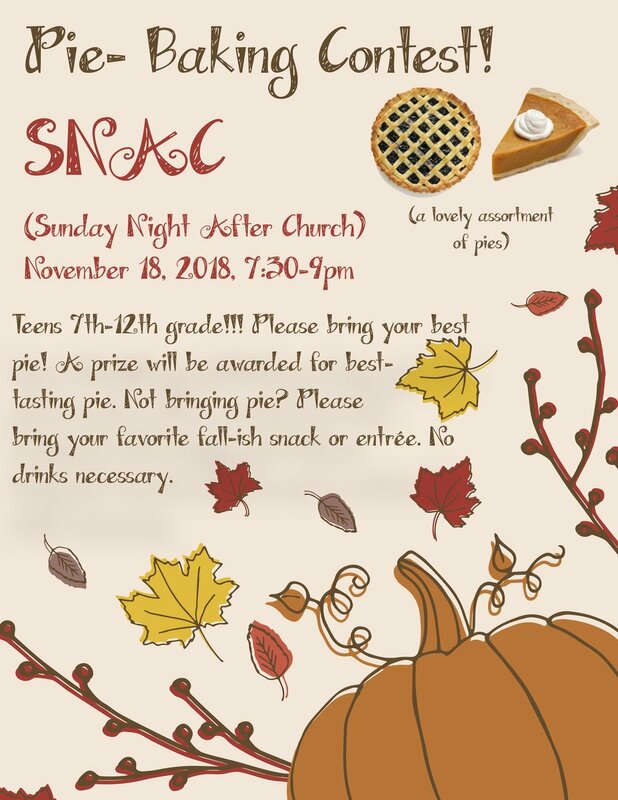 Please bring a snack/dessert/game to share! 5) The Wilds payment deadline this year will be July 1. If you have not registered yet, please do so ASAP, space is limited. I've also attached the memory verse work that the Wilds makes available ahead of time.